You must be a member of the The Hague Meets Delft Group to attend this activity. Would you like to join this group? I need Protected content attendees (including myself) to go on this day tour. I like to visit the Maastricht Undergrounds and a Vineyard and the Churches. I might rent a bike to go to the Vineyard Apostel Hoeve. I think from the city center, it is around 15 minutes bike. 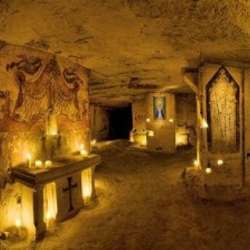 I will try to find a licensed tour guide for Valkenburg (Grotten Maastricht) by bike. Everyone can have their own program, as some may do shopping, others can be in the museum. Everything is possible. We can go out in one location and then the bus will return in the late afternoon to pick us back in the same location. Detailed Info will be posted soon.